Here is my list of our favorite curricula that we used for our 2013-2014 school year! Right Start Math – I have all of my kids working through Right Start at various levels. Sure it’s time consuming but the math ability that they are gaining is so very worth it! It teaches the “why” and “how” behind math concepts and my kids have such a wonderful understanding of math and mental math. I love how it uses hands-on aspects to teach math so kids can experience and visualize the concepts. It is my favorite math curriculum and it has been one of the best curricula finds for our homeschool. Logic of English – I loved the idea behind this curriculum when it was released and I was thrilled to review it. We have used Foundations A and are now using Foundations B. I love the brightly-colored and clearly outlined instructions in the teacher’s manuals. I love the game ideas and the active learning instructions. I love how reading, writing, spelling, and grammar are integrated seamlessly. This curriculum is clear, easy to use, fun, and works well for any type of learner. I look forward to using it every day. 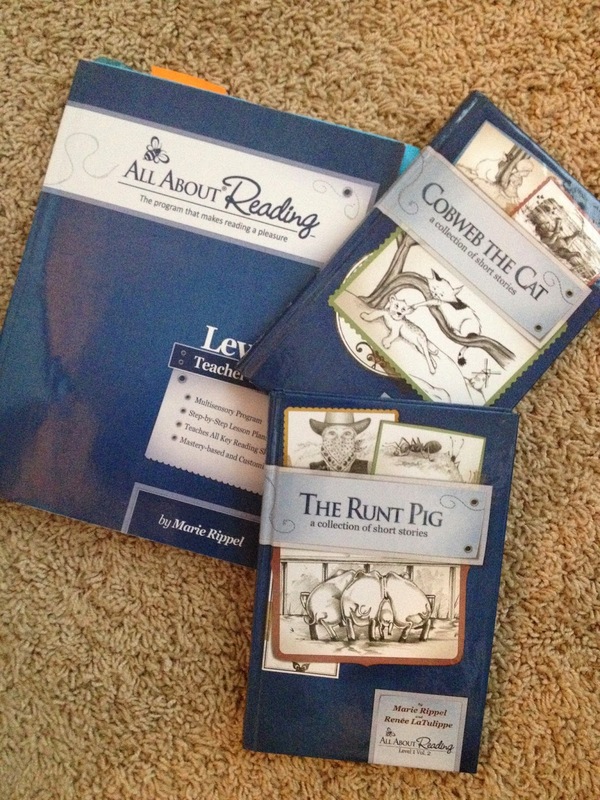 All About Reading – This is my other reading program and I love it as well. It teaches in a slower more incremental way when compared with Logic of English. However, I have a child who has needed that pace and it has worked wonders for his reading ability and building his confidence. I love the incremental lessons, the straightforward teaching, the simple games, the word review cards, and the adorable readers. This program has provided the review and practice that my son needs. It is such a strong phonetic reading approach and I love how it has taught him to sound out and decode words. Nancy Larson 2 – It’s no secret that I love Nancy Larson Science. I have enjoyed Level 2 even more than the previous levels. We learned about various aspects of physics and different types of simple machines. It made the concepts approachable even to a young student. I can’t tell you how much I learned about physics concepts. It was exciting to learn together! The booklets we created with the program, the extensive review, the incremental lessons, the ease of use, the activities, and the clear instructions make this science a success at my house because it gets done every day and we look forward to using it. 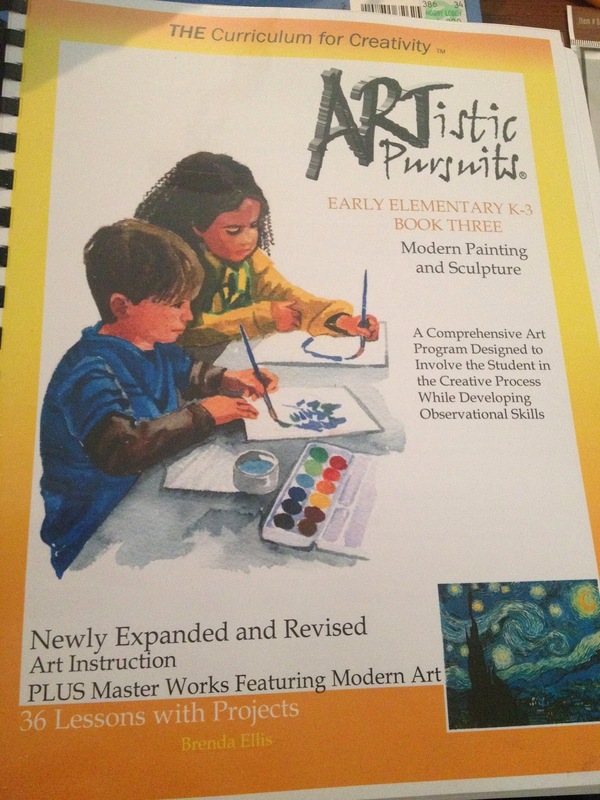 Artistic Pursuits K-3 Volume 3 – Now this is a fun and easy to implement art program. I love the integration of art history, artist study, artistic movements, and types of media throughout the lessons. The book combines observation with the introduction of art techniques to improve art skills. We found ourselves doing more than 1 lesson per week because we looked forward to the lessons. I was so impressed with the artwork created by my kids and especially noted the improvements that they made while using this program. They now draw with more details and paint with clear brushstrokes and well-blended colors. Classical Academic Press Fable – This is what I wanted in a writing curriculum! It is incredibly easy to use, well explained, and comes with both a teacher manual and student workbook. The lessons gradually build on the skills of copywork, dictation, narration, and summarization while introducing a creative element to writing. It was the perfect first step into a writing program that gave clear guidelines while encouraging small leaps of creativity. 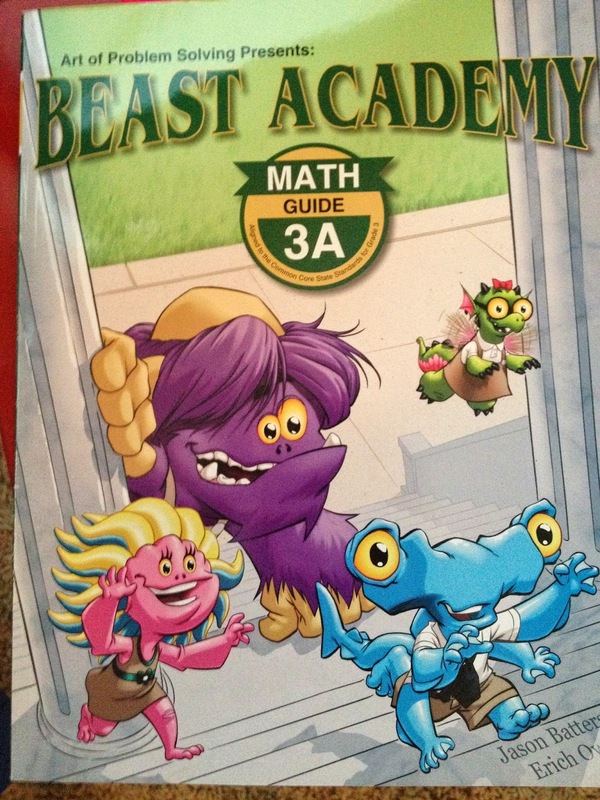 Beast Academy – This is not your usual math curriculum! The text is a comic book style and it comes with a workbook filled with challenging problems. This is discovery-style math in that it doesn’t clearly teach every single little concept, no, the program expects you to apply what you’ve learned and discover math concepts based on patterns and previous knowledge. The workbook has many challenging questions and some feel more like logic puzzles than a regular math page. It has brought fun and challenge into our math time as we’ve worked through the book together. 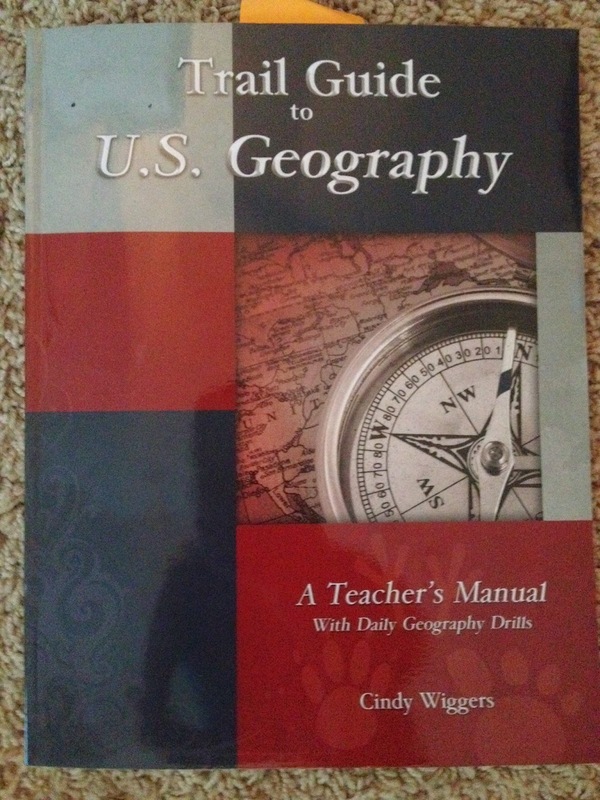 Trail Guide to US Geography – I have never before been consistent with geography and it’s one subject I don’t feel that I learned well, so I wanted to make sure it didn’t get lost in our busy school day. This program is so easy to use and has great flexibility. I printed off the student pages for Curly and ordered the recommended atlas. Each week we read about one state, did the map assignment, and learned about the landmarks and important people and events of that state. I also printed out blank notebook pages to record fun facts that we learned as well as a state flag for each state. Now we have a completed US geography notebook with a map, fact sheet, and flag for every state. And together we’ve memorized all the state capitals! This program was so efficient and easy! Song School Spanish – This was another review product that we received. It was a huge hit! Curly went through the program first and learned all the words and phrases with the songs. Each lesson introduces some basic grammar and it was the perfect pace for an intro of Spanish. Now Tiger and Bee are working slowly through the program, focusing on the songs so they learn the words and their meanings well. It is a fun introduction to Spanish that is taught through songs. It has been a simple way to kick start our Spanish studies! 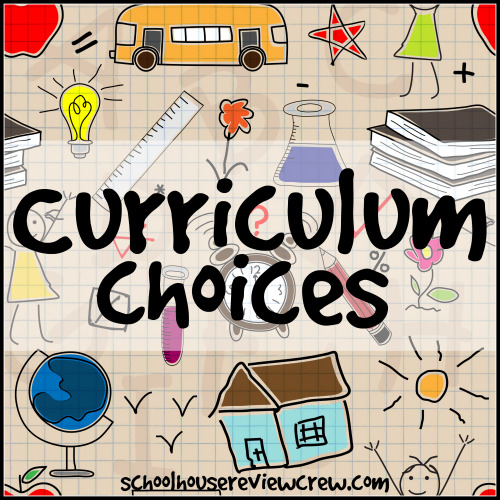 See favorite curricula choices from the Crew! We also *love* RightStart Math and Beast Academy, All About Spelling, and Artistic Pursuits. From Classical Academic Press we use Song School Latin, which my son loves! some neat curricula I haven't seen before! There are so many fun choices out there! These look like some great options!! I love curriculum. Looks like a great year! We love some of those same products!